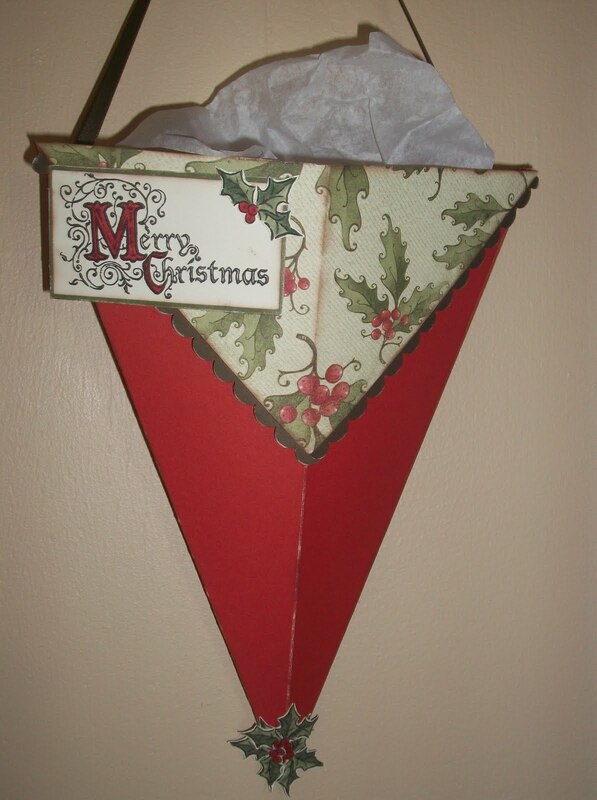 Here are my new creations "Christmas Cones", aren't they just so cute. This first one is created out of a 12x12 piece of card stock and cut down to a 9x9 piece. I saw these made on some one's blog and my bad can't remember the name of the lady or her blog sorry....so I can't take credit for this idea but I did change her directions a little...and my embellishments too. 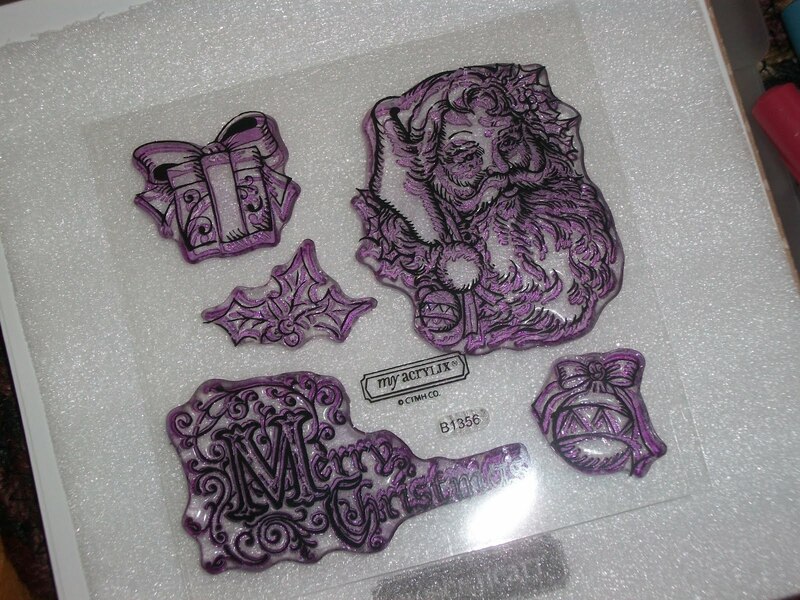 I just love this stamp set "St. Nick" (B1356) CTMH has in the new Idea Book. 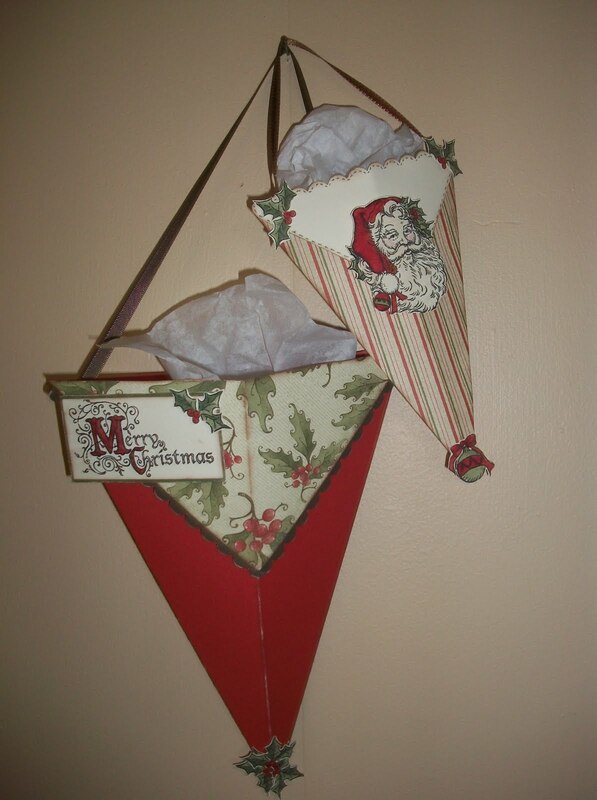 The pattern paper is CTMH Mistletoe Level 2 Paper Packet (X7130B) I love the rich colors in this packet. And I love CTMH card stock that has a white core, for when you sand the edges the white appears and gives a distress look....I also inked the edges with Chocolate ink. 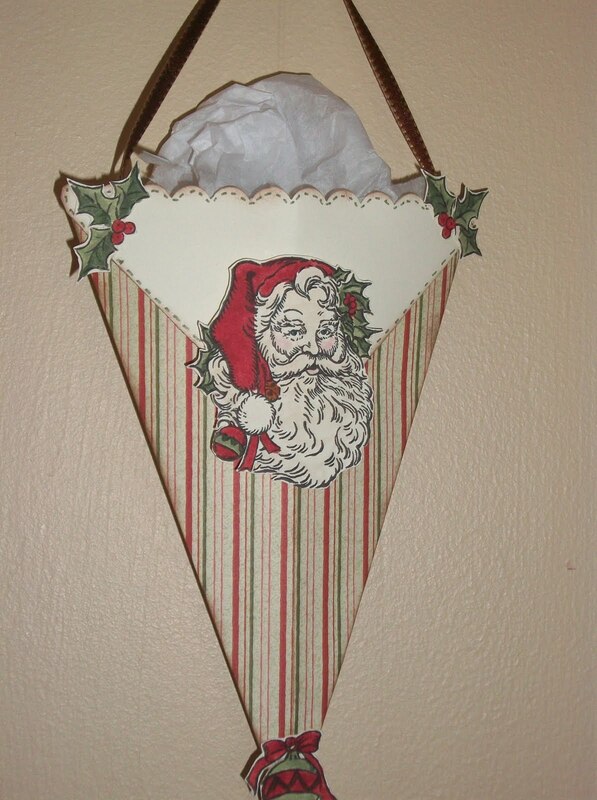 Here is a smaller size Christmas Cone to hang on your tree to put candy in or a gift card. I cute the pattern paper down to 6x6 perfect size for a small gift. Thanks Chris they are so fun to create, I am planning on make a video this week on how to create them...tips on making tiny ones. Oh Peggy, these are the cutest! I'd like to make a couple of these as well. I hope you get the video posted soon. ps. Feel free to use the idea of a Memory Tree to make your own.